In long-term post-acute care settings, the only thing that is constant is change. There is, however, one process that endures—Quality Assurance/Performance Improvement, or QAPI. 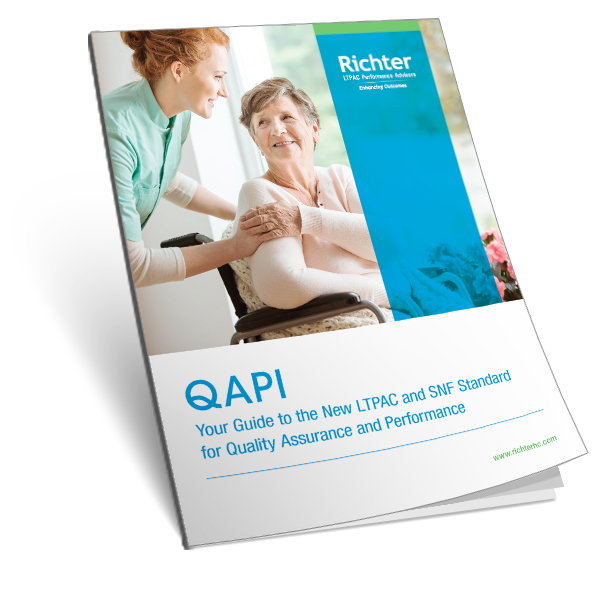 Richter Healthcare Consultants’ Clinical Consulting team works closely with our skilled nursing facility (SNF) and home health clients to provide education, technical assistance and support in the development of a QAPI program. Fill out the form on this page to download your free guide.